Aegean civilization is a general term for the Bronze Age civilizations of Greece around the Aegean Sea. There are three distinct but communicating and interacting geographic regions covered by this term: Crete, the Cyclades and the Greek mainland. Crete is associated with the Minoan civilization from the Early Bronze Age. The Cyclades converge with the mainland during the Early Helladic ("Minyan") period and with Crete in the Middle Minoan period. From ca. 1450 BC, the Greek Mycenaean civilization spreads to Crete. The Minoan civilization was a Bronze Age Aegean civilization on the island of Crete and other Aegean Islands which flourished from c. 2700 to c. 1450 BC, before a late period of decline, finally ending around 1100 BC. It represents the first advanced civilization in Europe, left behind massive building complexes, tools, stunning artwork, writing systems, and a massive network of trade. The civilization was rediscovered at the beginning of the 20th century through the work of British archaeologist Sir Arthur Evans. The name "Minoan" derives from the mythical King Minos and was coined by Evans, who identified the site at Knossos with the labyrinth and the Minotaur. The Minoan civilization has been described as the earliest of its kind in Europe, and historian Will Durant called the Minoans "the first link in the European chain". Cycladic culture was a Bronze Age culture found throughout the islands of the Cyclades in the Aegean Sea. In chronological terms, it is a relative dating system for artefacts which broadly complements Helladic chronology and Minoan chronology (Crete) during the same period of time. 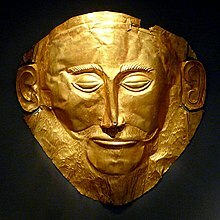 Mycenaean Greece was the last phase of the Bronze Age in Ancient Greece, spanning the period from approximately 1600–1100 BC. It represents the first advanced civilization in mainland Greece, with its palatial states, urban organization, works of art, and writing system. The most prominent site was Mycenae, in the Argolid, after which the culture of this era is named. Other centers of power that emerged included Pylos, Tiryns, Midea in the Peloponnese, Orchomenos, Thebes, Athens in Central Greece and Iolcos in Thessaly. Mycenaean and Mycenaean-influenced settlements also appeared in Epirus, Macedonia, on islands in the Aegean Sea, on the coast of Asia Minor, the Levant, Cyprus and Italy. The Únětice culture is an archaeological culture at the start of the Central European Bronze Age, dated roughly to about 2300–1600 BC. The eponymous site for this culture, the village of Únětice, is located in the central Czech Republic, northwest of Prague. Today, the Únětice culture is known from about 1,400 sites in the Czech Republic and Slovakia, 550 sites in Poland, and, in Germany, about 500 sites and loose finds locations. The Únětice culture is also known from north-eastern Austria, and from western Ukraine. The Prehistoric Period is the oldest part of Cypriot history. This article covers the period 10,000 to 800 BC and ends immediately before any written records of civilizations, such as the first mention of Cyprus by the Romans. Bronze Age swords appeared from around the 17th century BC, in the Black Sea region and the Aegean, as a further development of the dagger. They were replaced by iron swords during the early part of the 1st millennium BC. The Argaric culture, named from the type site El Argar near the town of Antas, in what is now the province of Almería in southeastern Spain, is an Early Bronze Age culture which flourished between c. 2200 BC and 1550 BC. The Trialeti culture, is named after the Trialeti region of Georgia. It is attributed to the late 3rd and early 2nd millennium BC. Trialeti culture emerged in the areas of the preceding Kura-Araxes culture. The Bronze and Iron Age cultures in Poland are known mainly from archeological research. Early Bronze Age cultures in Poland begun around 2300–2400 BCE, while the Iron Age commenced in approximately 700–750 BCE. The Iron Age archeological cultures no longer existed by the start of the Common Era. The subject of the ethnicity and linguistic affiliation of the groups living in Central Europe at that time is, given the absence of written records, speculative, and accordingly there is considerable disagreement. 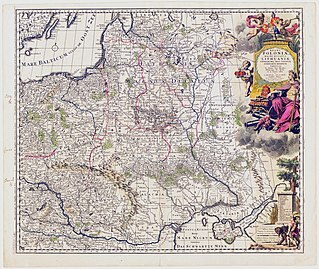 In Poland the Lusatian culture, spanning both the Bronze and Iron Ages, became particularly prominent. The most famous archeological finding from that period is the Biskupin fortified settlement (gord) on the lake from which it takes its name, representing the Lusatian culture of the early Iron Age. 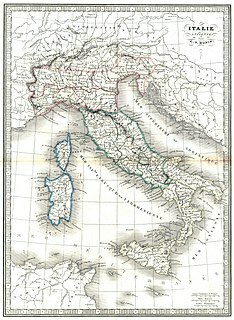 The prehistory of Italy began in the Paleolithic period, when the Homo species colonized the Italian territory for the first time, and ended in the Iron Age, when the first written records appeared in the Insular Italy. The Nuragic civilization, also known as the Nuragic culture was a civilization or culture on the island of Sardinia, the second largest island in the Mediterranean Sea, which lasted from the 18th century BCE to 238 BCE when the Romans colonized the island. Others date the culture as lasting at least until the 2nd century CE or possibly even to the 6th century CE. The Torrean civilization was a Bronze Age megalithic civilization that developed in Corsica, mostly in the area south of Ajaccio, during the second half of the second millennium BC.